Analytics in the TV industry is a hot topic as progressive operators and content owners use a better understanding of consumer habits to generate innovative and sticky services. Although a new trend, Piksel’s Miles Weaver suggests that history offers us some valuable insights into the challenges faced and the much-needed transition from raw data to intelligent decision-making. 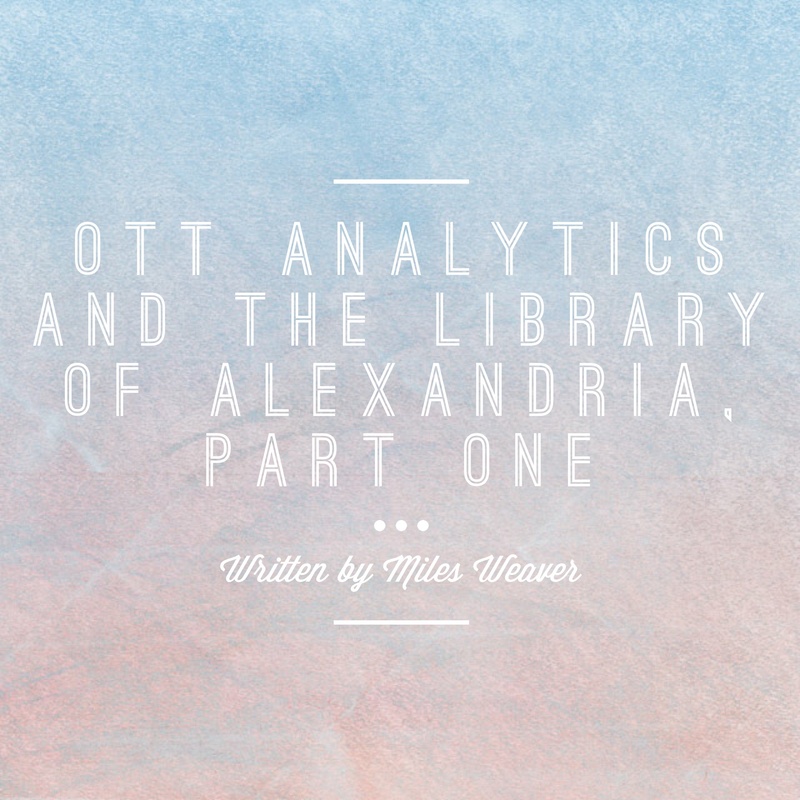 In the first of the two part series, Miles looks at the classical era’s biggest content archive and ponders what the library of Alexandria can teach us about value-based analytics. Throughout history mankind has demonstrated a keen and unwavering commitment to the acquisition of knowledge. From the building of the great Library of Alexandria in 300bc, to the revelations of Galileo and The Enlightenment that he helped begin nearly two thousand years later, our species has sought to codify and expand its understanding of the world and the people in it. The twentieth century, and the explosion of technological progress that came with it, made mankind’s cumulative understanding – previously only available in books or oral history shared from one person to the next - available for almost anybody on the planet to access. It was radio, television and the Internet that finally democratised the knowledge of our planet and our species. As we came to understand one another better, it was only natural that we became more and more curious about each other’s habits, things that we have been able to learn more specific detail about, thanks largely to the Internet’s ubiquity across many different types of connected device. As the range of content available online grew exponentially, even on only one service, it became more important than ever that the understanding of every user’s preferences was put to good use – otherwise it would prove increasingly difficult for the customer of a service to find the content they want. Unfortunately, the potential learned from the wealth of insights that user analytics provide has largely been squandered as of 2014. A lot of aggregators, distributors and content owners are addicted to consuming the data generated by the services they run, but they aren’t successfully turning that data into knowledge that can enhance their offering and customer experience. For example, a lot of companies will readily note the fact that a percentage of their customers watch a certain video on their Android phone for, say, ten minutes. “That’s interesting!” they will exclaim; then do nothing with that knowledge. Knowing this information does not lead to them understanding their customers any better, nor does it lead to a refinement of the service. On its own, this is a potentially useful kernel of information, but only when put alongside other data points does it become actionable knowledge. Yet a lot of companies will point to the fact that they know this single statistic as proof that they use analytics to better know their customers. But if you don’t understand what the information shows – if you’re not looking at it through the correct lens - it’s immensely difficult to comprehend what you’re seeing. At its height, the Library of Alexandria is believed to have housed a copy of every written manuscript on earth up to that point in history. While estimates range from 40,000 to 400,000 documents, it would have remained impossible for any one individual to consume all the knowledge housed within its mighty racks. In the same way, a service in the early part of the 21st century has the same issue when trying to comb their analytics reporting – there is so much data available that it becomes difficult identify what’s useful and what’s not. Taking individual data points like the one cited above only compound that problem. Without details of the viewing context, the information merely remains a single data point lost amidst an ocean of other single details. Without understanding, information never becomes knowledge and no one learns anything. Recommending to a user, “You watched series one of Breaking Bad, so we recommend series two” is not putting your knowledge of their Breaking Bad viewing habits to best use. The user is aware of the fact that they watched series one, and if they liked it, they will naturally move on to series two by themselves – they don’t need your help to do that. What they want, what discovery actually means for them, is for their service to give them content that they didn’t know existed or didn’t know they would like. Remember though, that the kinds of content that are most relevant to them change all the time. Once we understand the context of their viewing, the details of what they did in any one viewing session (watched a video for ten minutes on their Android phone) become useful. It’s for this reason that I believe that value-based analytics – that is, using a wide range of data inputs to create actionable intelligence about a user, their behaviour and preferences - are so very important. Stick with me as I use the Library of Alexandria for one more example. When the great thinkers of the ancient world went to visit that palace of wisdom, they rarely went looking for the same parchment twice. What they were after depended on many different factors: what they were researching at the time, what they had done that day or week or month, as well as the cultural, economic or political climate of the world around them. This remains as true now as it was two thousand years ago – users are just able to access content (that was all the text on those parchments was, after all) on a more frequent basis than they were back then. Devices that live with the user wherever they are, be they a phone, smartwatch or tablet, will constantly be used to find for different things as they move with the user throughout their day. In part two, I’ll explore the critical need to turn information into understanding and what that can mean when it comes to a range of activities from creating an engaging user experience to commissioning content. 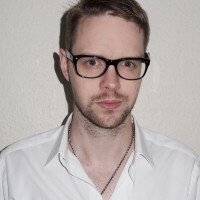 Miles Weaver is Piksel's Innovation Programme Strategist, overseeing the strategy, development and management of concepts stemming from Piksel’s Innovation Programme. Miles is an avid commentator on the digital TV revolution speaking regularly at industry events and being published in The Guardian and Read/Write.